Working as a freelance sound tech, there are times when I work a gig where a full rack of sound gear and large mixer are just not necessary. These are the kind of gigs I would make use of a simple powered mixer. 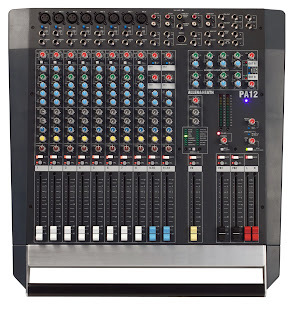 A typical powered mixer is an all-in-one box that houses a mixer, power amplifier, graphic EQ(s), and effects processor. 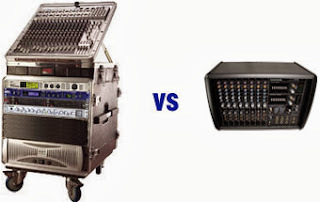 Most powered mixers have 2 pair of amplifier outputs on the back panel for hookup to passive speakers and stage monitors. Since everything is built into the box, all you need to do is connect the speakers, microphones and line level sources to the unit and you are ready to rock. Most powered mixers have two channels of amplification built-in with a way to route the signals in different ways depending upon your setup. 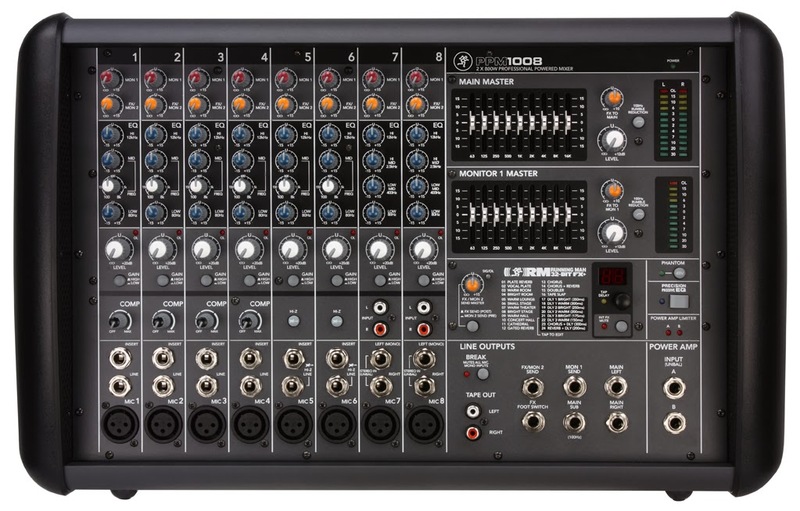 For example, you could setup the outputs of your powered mixer for standard left -right stereo setup with the main speakers. Or you could setup the outputs for split operation sending one amplifier output to the main speakers and one output to the monitor speakers. This will allow independant control of the main mix and monitor mixes separately. Power ratings for these powered mixers can be anything from 200 watts up to 1200 watts usually at a 4 ohm rating. For many gigs, there is plenty of power to spare onboard. 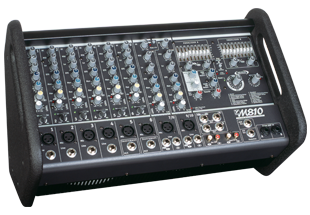 The input channels on a powered mixer usually consist of a selection of mono microphone inputs along with one of two stereo line level inputs. Each channel strip typically has controls for gain level, channel EQ, a monitor output, EFX send, and channel level all on rotary controls. 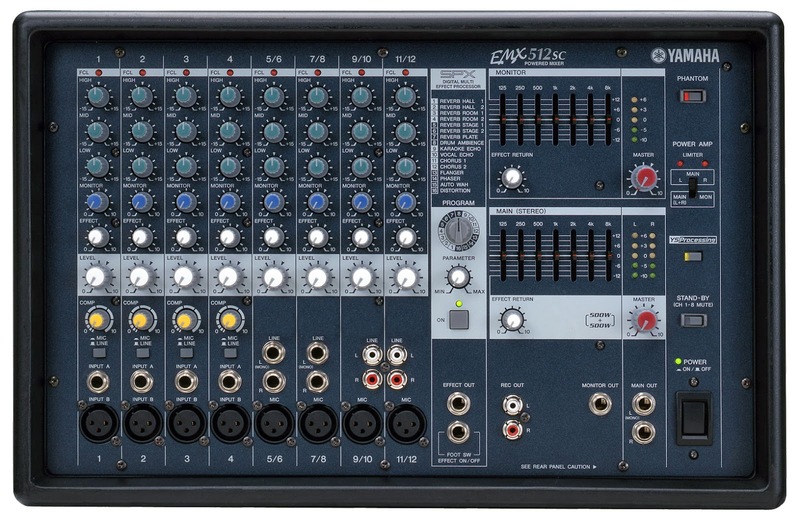 One or two graphic EQs are onboard which can be routed to feed the main and monitors outputs for basic EQ control. These EQs are typically the 5 - 10 band variety covering a number or standard frequencies for broad adjustments. Most powered mixers these days are fitted with one EFX processor with a number standard effects like reverbs, delays, choruses, and such. For the most part, only one effect at a time can be routed to the mix via the effect send control on the input channels. Another feature that most powered mixers have onboard are connectors to patch the main mix and monitor feeds to an external amplifier or powered loudspeakers. This feature allows you to use the powered mixer like a passive mixer bypassing the amplifier outputs. Powered mixers are available in two main types. 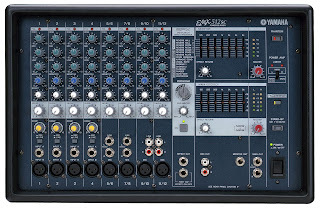 A box mixer or a desktop mixer. 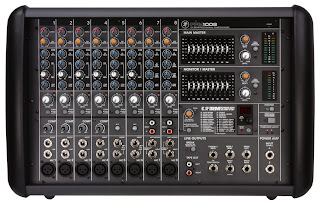 A desktop, powered mixer is of similar design to a regular passive mixer just with the addition of the power amplifiers. 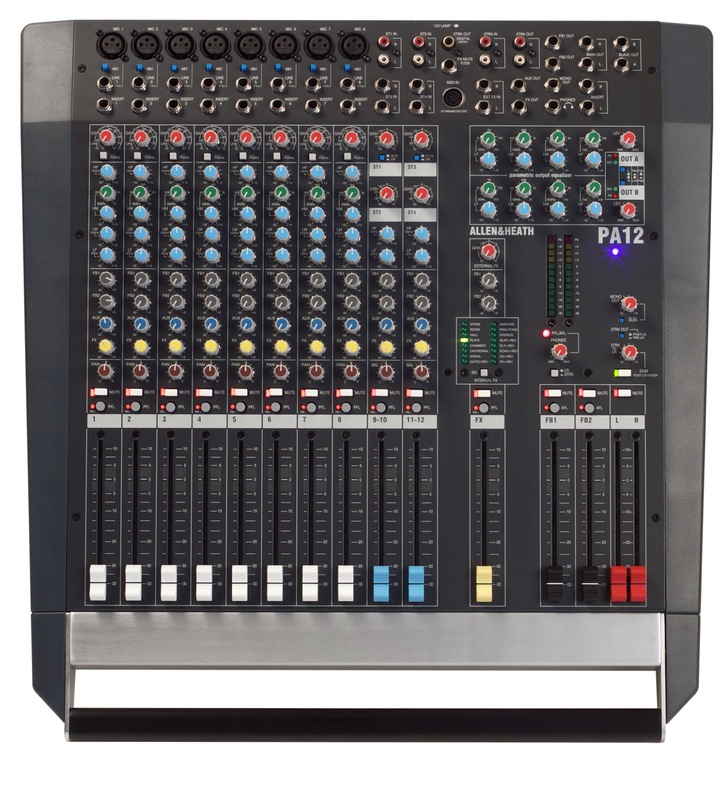 This kind of mixer usually has a little bit more capability to it because, it has more space for more channel inputs and other controls but, does the same job as a box mixer. Whatever type of powered mixer you choose, you will have an easy to use and setup centre piece to your portable sound system at your next gig. For part 2 of this post, I will discuss a number of ways you can use a powered mixer in live situations.